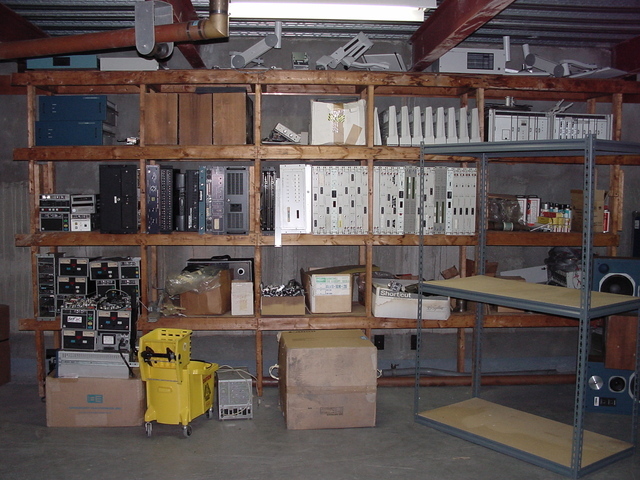 Like many AM stations with oversized transmitter buildings, WSB's basement was an appealingly cheap and secure place to store lots of old studio equipment when it was no longer needed. If you need a cart machine or an old Otari reel-to-reel deck in the Atlanta area, I'm sure Cox would be happy to get rid of some. Note the feedline from one of the transmitters running through the ceiling and off to the left towards the tower.